Aptitude test that reveals your strengths. Recruiters rely on aptitude test to shortlist candidates for a wide variety of roles where logical thinking, quantitative abilities and verbal abilities are critical. 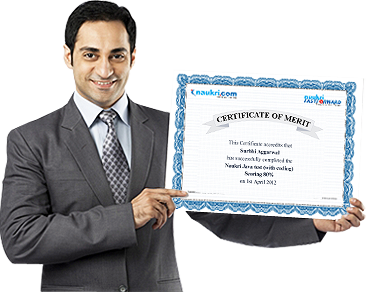 Get Naukri Aptitude certification and enrich your profile to showcase your aptitude better.